It plans to fly passengers with an electric, multi-rotor "CitiAirbus" drone. If a self-flying taxi scheme didn't come from the world's second largest aeronautical company, we might think it was a prank. However, Airbus appears to be serious about its "Vahana" project, aimed at creating an autonomous passenger drone network, and thinks testing can begin as early as 2017. That sounds ambitious, to say the least, but "many of the technologies needed, such as batteries, motors and avionics are most the way there," according to Airbus engineer Rodin Lyasoff. Users arriving at, say, an airport would book a seat on a so-called zenHop "CityAirbus" drone, then proceed to a "zenHub" helipad, according to the concept. They'd be flown to their destination for about the same cost as a taxi, since the ride would be shared by several passengers. Luggage would be delivered by another service (zenLuggage, of course), and the whole thing would be safeguarded from hackers by (wait for it) zenCyber. 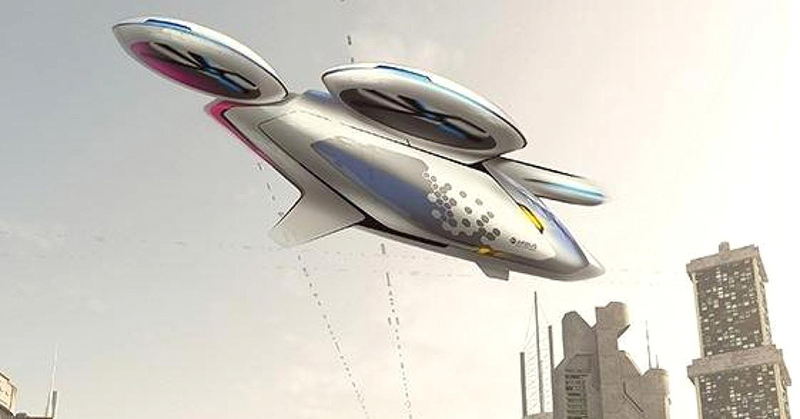 The company said that the CityAirbus multi-rotor, electric aircraft design has been "kept under wraps," though it did supply an artist's impression (above). The Airbus Helicopter subsidiary has been working on the drone-like design for two years, and it "could soon become reality without having to wait for too many regulatory changes," according to the press release. 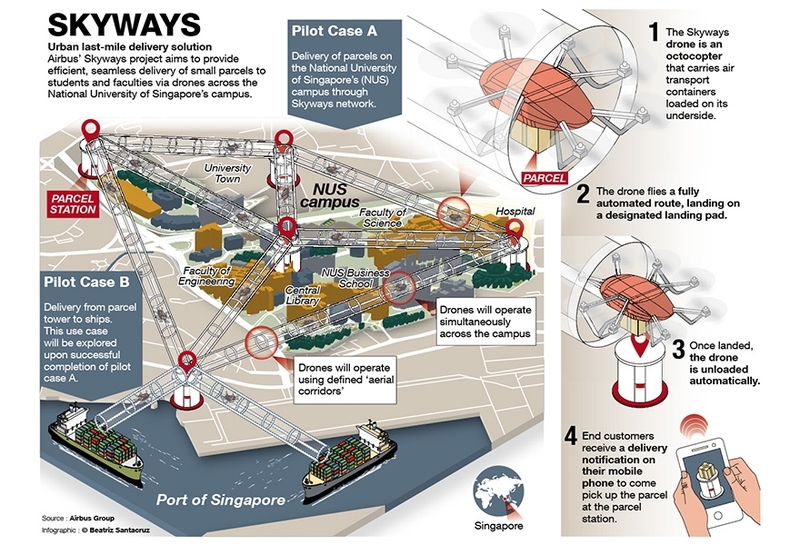 Airbus is also working on a drone delivery service (below) and plans to start testing it at a Singapore university by mid-2017. The cargo-laden vehicles fly automated routes in "aerial corridors," then drop them off and send delivery notifications to customers. The goal is to "potentially increase acceptance for passenger flight testing, thus giving a boost to urban air vehicle projects," according to the company. The idea of an electric passenger drone isn't new, as we've seen a prototype from Chinese firm EHang and a manned flight test from Volocopter. However, Airbus, with 55,000 workers and thousands of engineers, has a far more realistic shot at making it feasible. "Our group's strength is that we have interconnected projects that together are helping to drive the upcoming revolution," says developer Jörg Müller. The company has already done a study and concluded that the idea has merit. It would first launch the passenger service with pilots, then proceed to autonomous aircraft once regulations and certain technologies, like see-and-avoid, fall into place. While it sounds like our dreams of a Jetsons-like urban utopia are finally falling into place, we'll cling tightly to our skepticism until we see these taxis actually fly.